Nikita Kucherov Grouses About Lightning Teammates Who "Stopped Working"
The Tampa Bay Lightning followed up last year’s trip to the conference finals with a disappointing 2016-17 season in which they just missed a playoff spot with 94 points. Losing Steven Stamkos to injury in November didn’t help. 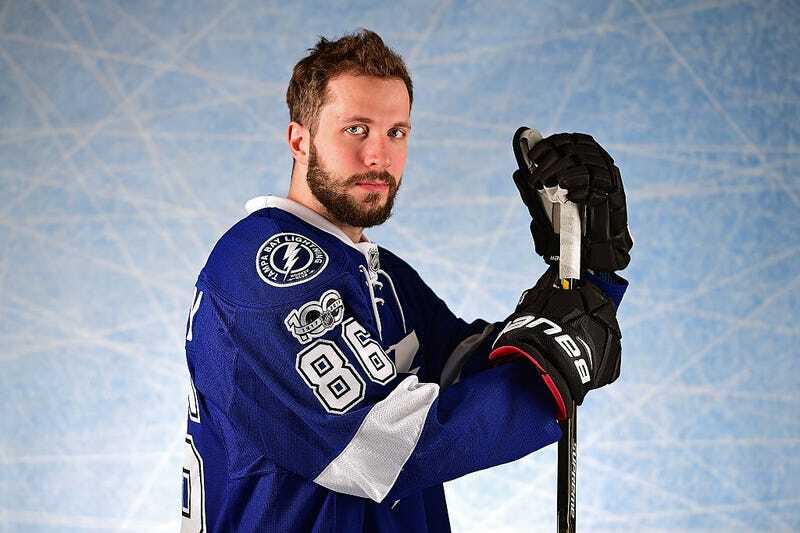 Sovietsky Sport published an interview with Nikita Kucherov today, and the winger opened up about the underwhelming campaign and faulted unnamed teammates he believed phoned it in. The interview is in Russian, so these loose translations are partially from Google Translate and partially from someone here who knows the language. In summary, Kucherov thought the team suffered greatly when the Lightning captain got hurt. He also said the chemistry he had with Stamkos and “Nimes,” center Vladislav Namestnikov, was lost when the lines were shuffled. The fact that Captain Steven Stamkos dropped out was a blow? Yes, you have more playing time, but after all Tampa became weaker. At first it was hard. Because only just a link was created, I, Nimes, Stamkos. We were put together for 10 matches. And just in the ninth Steven was injured. Steven, I and Nimes were on the same wave. We thought alike. There was no need to explain something to each other about who was going to be on the site. Kucherov complained about the line combinations, and also “other guys” who laid back after getting their money. For example, you tell a new partner where you need to be, but he does not manage to get there with his feet. I was tormented all season. Stamkos broke down, and I could not find partners with whom there would be perfect mutual understanding. And for some reason my coach wouldn’t pair me with Jonathan Drouin. Although when we crossed one day, the game went very well. And there were other guys who just sat in the team. They got their money and stopped working. They knew that they had no competition, that Tampa would not take on anyone else. They did not play so well this year - this is evident from both statistics and movement. When I went out with them and gave them a pass, they did not even expect it. That’s why I had a hard season, despite the statistics. A relevant piece of information might be that forward Alex Killorn received a seven-year contract from the Lightning last July, and had 36 points in 81 games this season.